Fighter X is a tower defense game. The monsters attack the human world. Player need select different heroes to destory the monsters and save the world. AI Control with Each Level. Battles with 18 different enemies. Allow players to select different heroes. Each hero have unique skills. HD quality Graphics and Sounds. Shop - Support buy bombs and Heroes. If purchased hero, you can customzie the hero list. 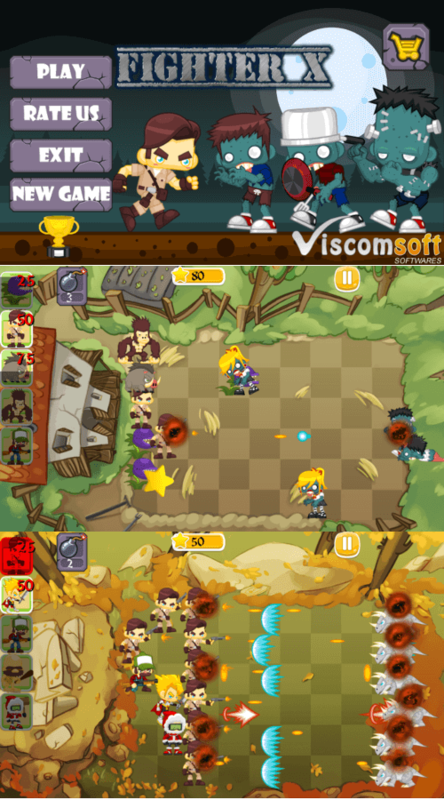 The First Game of Viscomsoft. Enjoy!